I bought this book at the Wilson’s Creek National Battlefield shop a couple years back. I generally go to the Battlefield, just a mile away, twice a year. Once to renew my annual pass, and then once more for some reason or another, generally on a day where you don’t need a pass. Since I’m in the gift shop anyway, I look to pick up a bit of a history book to read. So I did with this book. Since I bought it at the Wilsons Creek National Battlefield, I’d expected more of a real history book rather than something assembled by a local historical society. Although this book is not from a local historical society, it’s more of that flavor than the former, so I was a bit disappointed. 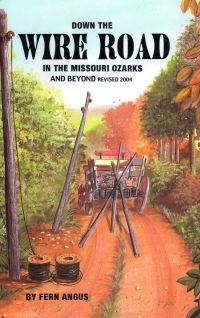 The book starts off with chapters about the stage coach / postal line that ran down this way, the creation of the telegraph line from Jefferson Barracks to Arkansas, an the Trail of Tears which followed the same route. The chapter about the Trail of Tears gives a bit of a summary and then reprints excerpts from the journals of “conductors”–guides for the marches. After that, we devolve into collections of pictures and descriptions of cemetaries, some family histories recounted by family members, Ozark stories, sayings, and “Do You Remember?” things. So I was a little disappointed, more because I expected a more scholarly treatment and more discussion of the Wire Road. Mostly because I have lived at both ends of it: In the St. Louis area, I lived in Lemay just a couple blocks from Telegraph Road and now at Nogglestead which sits either directly on the route or a couple hundred feet from it (depending upon whether it ran along the old train route that is my neighbor’s driveway (but which I own half of) or in his pasture. Manley was a small man in stature; he liked to read Cappers Weekly and his Bible. He belonged to the Marionville IOOF Lodge, Chapter 210. I know what the IOOF is because I read Lileks. Telephone lines were maintained by the parties using the line? It was a common practice for anyone to listen in on the conversation if they wished to do so. News of anything unusual, as a fire or emergency of any kind, was spread rapidly by the user of the telephone. As I’m fond of reminding you, gentle reader, I lived down an old gravel road in a valley back in the first Bush administration, and the phone was a party line until the cable company and the phone company shared the cost of running the lines out to our house and beyond. In 1988 or 1989. You canned vegetables, fruits, jams, jellies, pickles, and everything you could get your hands on? Sometimes these were not used during the summer months but were put aside for winter. I’m fond of telling the story where, when we lived in the projects, we were friends with the girl across the street who lived in the farm house whose surrounding fields became our neighborhood some decades before. Her yard had several large pear and peach trees, and one year my mother got bitten by the canning bug, so we staged commando raids on her yard to purloin some of her fruit. I hope her family wasn’t planning to use it. My mother laid up those pears and peaches and crab apple butter and sauce made from the crab apple trees in the common back yard of our apartments, and we ate them for years. I guess it was only five, but we still had shelves full of that preserved fruit when we moved to the aforementioned house down the dusty gravel road. So we moved those jars from Milwaukee to our aunt’s suburban home in St. Charles to the trailer in Murphy and then to House Springs. You know, perhaps I shouldn’t be so disappointed with the book after all. It did remind me of some stories from my relatively recent youth. This book reads like a gritty ninth century reboot of The Gallic and Civil Wars by Julius Caesar. 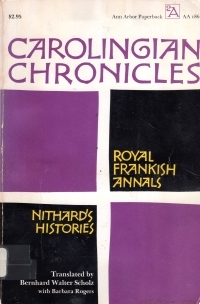 This volume comprises two separate primary documents contemporary to the events: The Royal Frankish Annals written by one or more unnamed sources during the reigns mostly of Charlemagne and Louis the Pious and then Nithard’s Histories which is about the civil wars amongs the Frank children of Louis the Pious. Given that most of the Royal Frankish Annals deals with conquering Gaul and then repeatedly fighting, co-opting, and fighting some more the German tribes, you can see where I draw the parallel. The difference lies in the prose: This is official stuff written by someone other than the officials. We get a page or so of description of each year, with an outline of the campaigning against a single foe, a couple of meetings amongst the heads of the tribes either paying respect to or getting called out by the Holy Roman Emperor at annual meetings. Then the emperor goes back to Aachen. It happens mostly that way every year, so it’s repetitive, and the lack of detail for any campaign makes it all blur together. Nithard served Charles the Bald in the civil war that followed the death of Louis the Pious, so his histories, like The Civil War of Caesar, tell a story for a contemporary audience that casts one side in a better light. Charles and Louis (not the dead one, obviously–his son) take on Lothair. Come on, with a guy named Lothair, we modern audiences would have picked him out as the bad guy even if Nithard had not chronicled how he kept breaking his promises. Spoiler alert: There aren’t many children named Lothair, so you can guess who wins. The book is 174 pages plus end notes and index. Longer than The Life of Charlemagne, a work contemporary to it. And I’ll probably remember only a couple nuggets from it. Mostly that Lothair lost. This book is a self-published memoir of a man who served as a chaplain during the Korean War. It’s built from his daily journal, so each day or so we get a paragraph or two that details where he was going, what he was doing, and the services that he held. 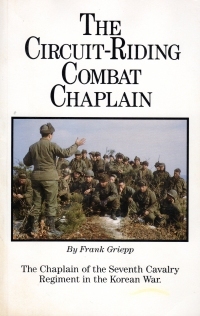 It’s a remarkable time capsule and throws light on the daily activities of a chaplain in a war zone that you don’t get from M*A*S*H‘s Father Mulcahy. I mean, he has a box he throws in his jeep, and that acts as his altar and whatnot when he stops amongst a squad or brigade to perform an impromptu service. He highlights a piece of scripture, does a short sermon, and then encourages the men. It’s remarkable; Griepp actually won a Bronze Star for performing a service calmly while getting shelled. In response to a letter from his mother, I looked up Pvt Roy Hartford of the King Company, age 16, and arranged a minority discharge for him. Can you imagine a modern 16-year-old lying to get into the military? It happened a bunch back then. Met some of the Marines, as they are fighting right next to our troops. Good soldiers, too, neither superior nor inferior to troopers of the 7th Cavalry. My whole line wilts a little at this thought. On the other hand, this is a chaplain, so he has to say nice things about his sheep. May 12 is “M-Day” for Operation Mascot. All of these children had experienced abandonment, rejection, or loss of both parents. Now it was time for another separation. Apparently, various companies adopted orphans and lost children, and it got to be such a problem that the Army had to make a concentrated effort to keep its soldiers from taking care of the weak and the unfortunate in a war zone. Contrast this with the behaviour of most armies throughout history. And make a point of it in a history class if you dare. Our personnel officer and Lt Edward Jirikowik, the center company commander, are having a problem. The Lt is expected to locate men to fill vacancies for jobs other than riflemen. Rotation is sending the riflemen home, but leaving typists, drivers, radio operators, and wire men. Such men cannot go until they are replaced by men of like skills. My father, fresh out of boot camp, was lined up with the others and the first ten men were sent to Okinawa for a clerical position if they knew their alphabet, and the rest went to Vietnam. Which is why my father spent his overseas time in Okinawa. I always thought he felt bad about that because it meant he was unable to fight with his mates, but he might not have liked it because it represented a lengthened committment. I’ll never know, of course. 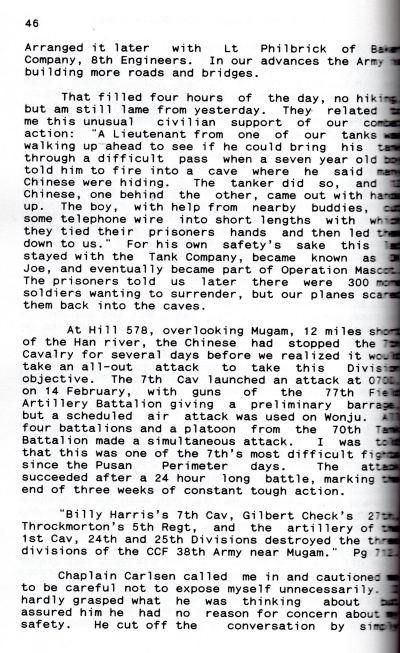 Dan Rather emailed me to say that was laid out using Adobe Pagemaker on an Apple II. The book also bears an inscription to a presumed comrade (forty years after the conflict). The handwritten message is for the recipient to see page 28; page 28 is starred. I presume this is where the Chaplain and the inscribee met. I hope it’s not the first clue to a treasure hidden in the Korean wilderness since I mentioned it on the Internet and would have put myself in the crosshairs of unscrupulous fortune-seekers if I did. 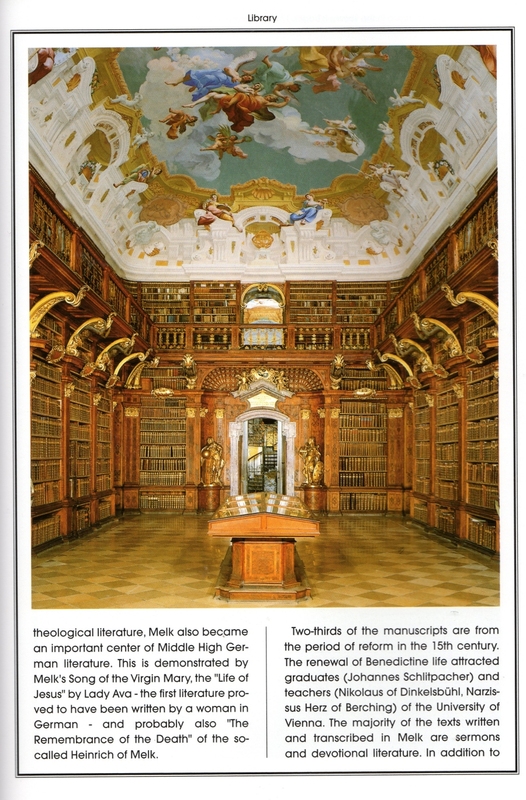 This book is a memento/guidebook to the historic Melk Abbey in Austria. Someone got to go there, and I got their book eventually, although the book is available online. Many of these style books have a lot of photographs and a little bit of text–this book, on the other hand, has a much higher text to photo ratio, but it is an abbey that is almost 1000 years old, so there’s a lot of history to cover. The book has two parts: A detailed history of the abbey (along with some regional detail) and a second portion that goes through the public rooms of the abbey along with their images; however, this second part recovers some of the historical ground covered in the first portion of the book. When I turned the page and was back at the beginning, almost, I was daunted. But I kept through it; the self-guided tour part is the part with the best images of the abbey. 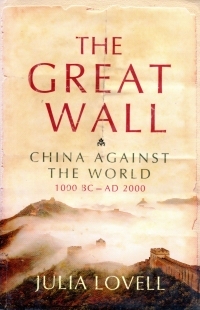 I read this book before I read The Great Wall, and both of them have shaken my self-confidence in my knowledge of history. For although I’m probably better versed in history than most people, it’s a very localized and very high level knowledge of history. I know a bit about English history, I know a bit about American history, I know a bit about Roman history, and I know a bit about European history, at least names and countries after about 1600. But this book goes into detail about the smaller fiefdoms of Austria in the dark ages, and I don’t know anything. It’s a bit humbling (which means my knowledge is a mere half byte at this point–four bits in this paragraph, you see–it’s computer humor). But one of the things I’m really feeling acutely this year is the difference between reading widely and reading deeply–that is, to have a fine-grained knowledge of something very specific such as Austrian history 1000-1500 AD versus the overview I have, which is some specifics but large blank spaces in regional timelines. I’m still opting for broad knowledge, but sometimes books like this strike me with how little I actually know. I looked at it and thought I have almost as many books. Of course, I really don’t have almost that many books, and certainly not that many old books. 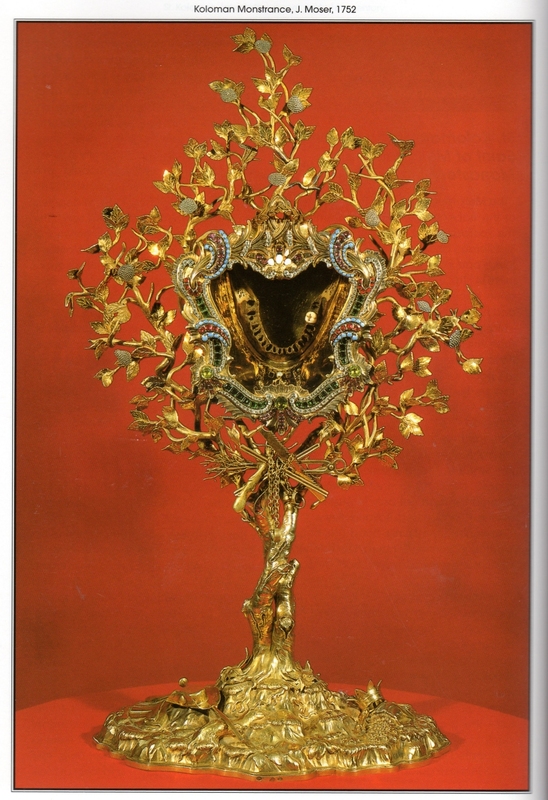 That is an elaborate tree sculpture designed to hold the purported jawbone of a saint. Which it does. I don’t mean to be dismissive of Catholic thought and the importance of saints, but the whole medieval relic worship thing. Ew. The book was a little longer to get through than I’d hoped, and the most I got out of it was the knowledge that I don’t know much about Austrian history. I read this book as part of my recent Sinophilia kick. This book is a bit of history and a bit of cultural psychoanalysis. Instead of a straightforward history, the book focuses on the story of wall-building in China, from the earliest walls in the Qin Dynasty through the creation of the Ming wall near Beijing called The Great Wall and beyond to the Great Firewall in the 21st century. As such, a lot of non-wall building dynasties and history is left out along with major trends in Chinese thought (Confucism vs Daoism and the import of Buddhism). The book chops around a bit, too, jumping from the early history to stories of explorers and Indiana Jones types finding remnants of the wall in the desert. Still, it highlights some patterns and cycles in Chinese history, from where barbarian tribes overthrow a Chinese dynasty, remain vital for a while, and then become Chinese only to lose their military moxie and build walls in their decline. Whereupon another vital tribe takes over, remains vital for a while, and so on. The narrative sweep of the book isn’t compelling enough to pull you along unlike other books more biographical or focused on ascents of civilizations, and the author could have tightened in places a bit. The author takes a couple of light shots at George W. Bush (president of the United States when the book was written) and at Israel (for building a fence of its own, the fools! The Mongols always get in! ), but overall it’s not a political book nor a particularly noticeably leftist history book. It isn’t pro- or anti-China. It gets a few shots in at Jesuits, though. So I’m glad to have read it. This book is nominally a biography of Marcus Tullius Cicero, but in reality, it’s a history of the fall of the Roman republic wherein Cicero sometimes makes appearances. I guess the author was working from a lot of Cicero’s letters (as do so many historians from Plutarch on), so he focused on Cicero. But there are huge stretches of the book where Cicero is not mentioned at all, including the first couple of chapters. The author is a Marxist, of course. He refers often to the proletariat in Rome; he defends Catiline because Catiline was in favor of redistributing the wealth; he name-checks the poor oppressed Sacco and Vanzetti; he touches upon themes and books mentioned in Books That Changed America (namely, conservative opposition to public schools and The Influence of Sea Power Upon History, 1660-1783 by Alfred T. Mahan referring to either Pompey or Caesar’s understanding of naval transport of armies); and he often equates good with progressivism/Marxism and bad/corruption/know-nothing aristocracy with “conservatives.” But he’s an early twentieth century Marxist, so it’s lacking in the invective you get in later works. This is still a pretty good book to read. It is pretty in-depth coverage of Roman history during Cicero’s lifetime, which includes the First Triumvirate and the Second Triumvirate and the Civil War from a different perspective than Julius Caesar. It’s the story of one man with hopes of a restoration of the Constitution that never comes and the slow, continued dissolution of the ideal of the Roman Republic from an ideal state that probably never existed to the seeds of empire based on strong, charismatic men with armies ruling. 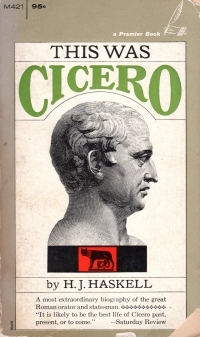 It also provides a good deal of context for Cicero’s orations and his other works, including the historical details of why and when the pieces were written. Reading a collection of Cicero’s words will get you a little context, but this book fills in all the gaps. The author does not paint a flattering picture of Cicero, though. The subject of the book, when he appears, is presented as vacillating, vain, vainglorious, and too much in love with his own oratory. Also, Cicero, in this book, seems to think his words alone could counter armed insurrections of various stripes. A tale with modern parallels. I enjoyed the book and learned a bunch from it. It’s not without its flaws–politics aside, it does give the subject a bit of short shrift and it has a tendency to draw back from a point in time to provide historical context which gives the reader a bit of whiplash–but informative none the less. I got this book for Christmas a few years ago. As I have moved to the Springfield area and actually live within walking distance of the Wilson’s Creek National Battlefield and along the old Wire Road where the troops marched, I figured I ought to read up on it, you know? Heaven knows I read enough history books about the suburb of St. Louis where I used to live. This is a full on history book, researched meticulously from the records of the time, including correspondence from participants as well as news accounts in the participants’ home towns. And the home towns there were; both sides of the battle featured a large number of volunteer companies from places such as Kansas, Illinois, Iowa, Missouri, Louisiana, Texas, and so on, most of the companies representing individual towns. But when the call to arms came, many able men joined either to punish the traitors or to defend themselves from the treasonous. 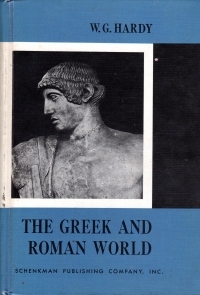 Note that unlike some of the history books I’ve read in the past centering on a historical person and making that person somewhat heroic (see Scipio Africanus and Hannibal), this book is very evenhanded in treatment of both sides.